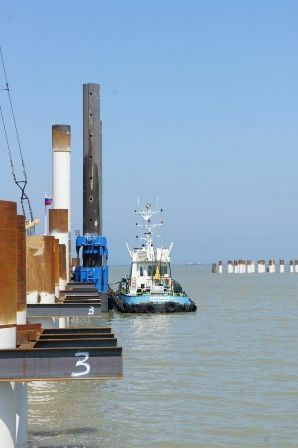 Technical fleet carries a recess and the subsequent removal of seabed soil to increase the depth of the waters from the existing 1,6-4,5 m to 13.5 m, according to company materials. The completion of clean-up after the construction of the bottom of the piers is expected in the second quarter of 2012. The total design capacity of the complex is designed for handling up to 1.5 million tons of liquefied petroleum gas and up to 2.5 million tons of light oil (stable natural gasoline) per year. 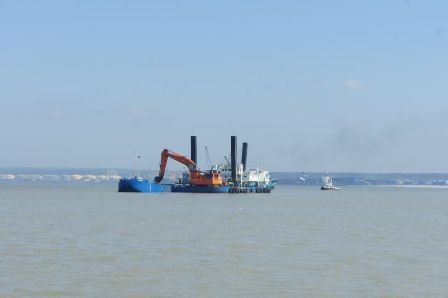 State awarding the contract is the Federal Agency of Maritime and River Transport of the Russian Federation, on behalf of whom "Rosmorport" signed a contract for dredging. Work directly on the water area of the complex LPG performs "North dredging company." The investment program of "SIBUR" includes dozens of projects aimed at expanding and building new facilities. In 2010 the company sent to the investment development of more than 58 billion rubles.